The former army barracks in Sijsele are transforming into a mixed-use area with housing, workplaces and recreational facilities. In collaboration with NEXT architects and Arcadis Belgium, Bureau B+B made a preliminary design. 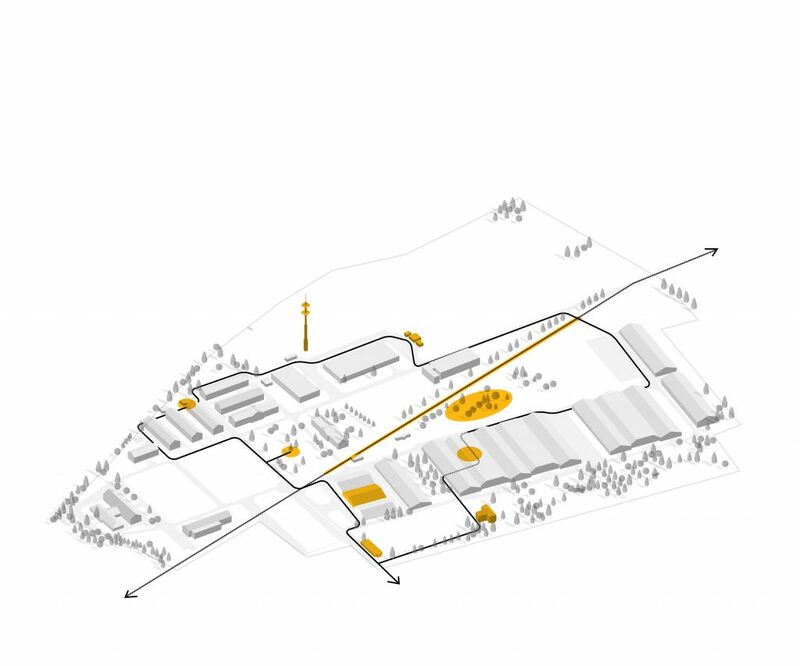 The design concept is based on a robust landscape framework that connects the barracks to its surroundings. The areas within the framework will be developed in a flexible manner, in cooperation with local residents, entrepreneurs and developers. There are not only traces of military use at the army barracks, but also of the original country side and a former nursery for plants and flowers. These historical layers become the starting point of the identity for the new development. The design is composed of three landscape zones: A flower garden, the central axis and the landscape pockets. The flower garden is situated along the main street, at the location of the former nursery. The central area of the barrack grounds has a parklike atmosphere where a historical tree-lined lane will be restored. 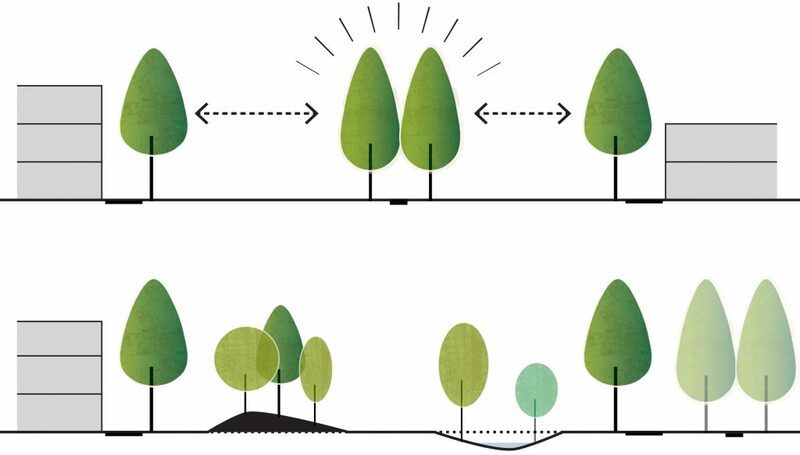 It is the backbone of the landscape design, while serving as the main connection for bicycles and pedestrians. In the southern-most part of the site, the original hedge structures will be restored to create landscaped pockets. These pockets can host allotments, water infiltration, or green housing. The army barracks will gradually receive a mixture of functions and target groups. At the start of the project, the site will be accessible to the surrounding community. A special experience route will familiarize the public with the site’s identity. 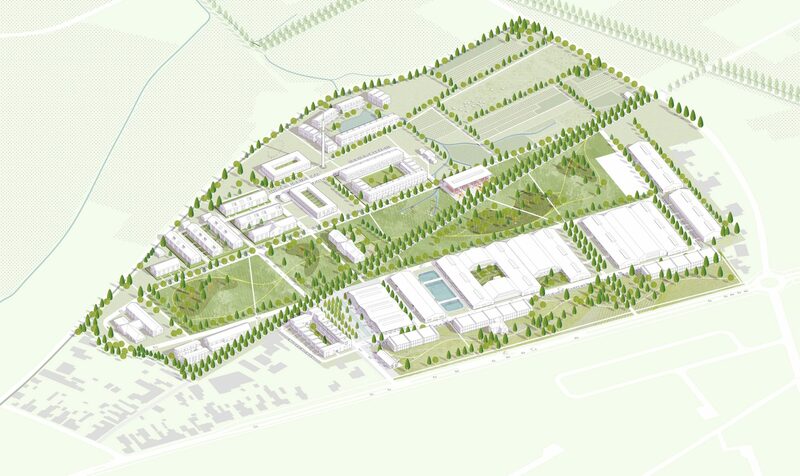 Next, the entrance area will be developed, followed by the green axis, the business zone and the innovation hub. The entrance area will consist of a square with trees and a market hall. Residential buildings surround the bustling square. 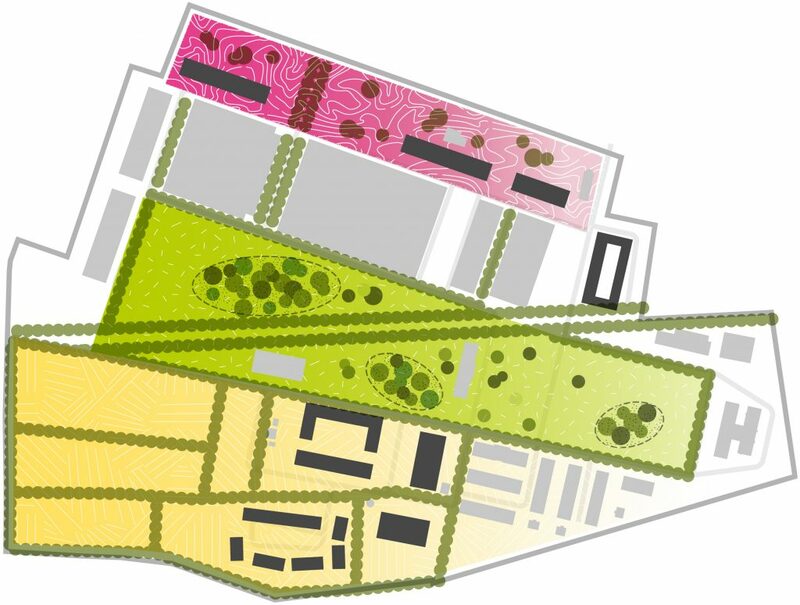 The green axis is designed as a park with recreational facilities where closer to the houses, the landscaping is more communal, with playgrounds for small children. 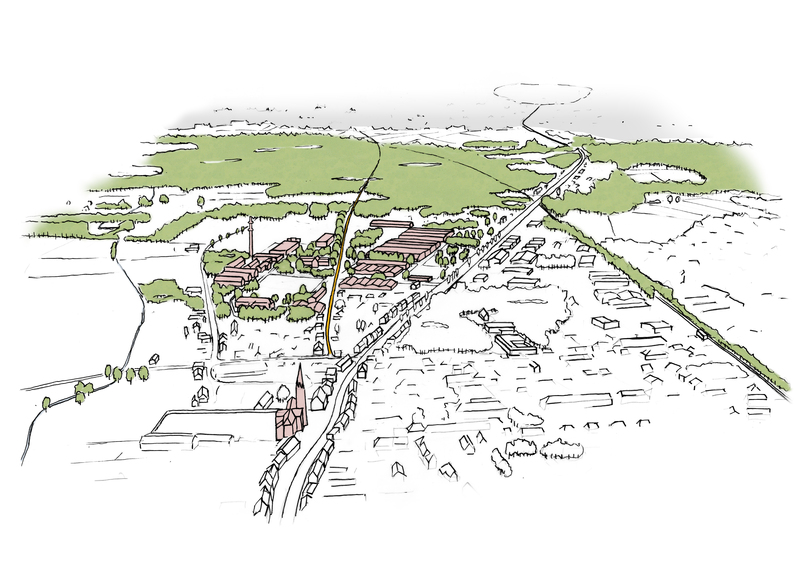 The final step will be developed in consultation with the residents, entrepreneurs and developers of the area. 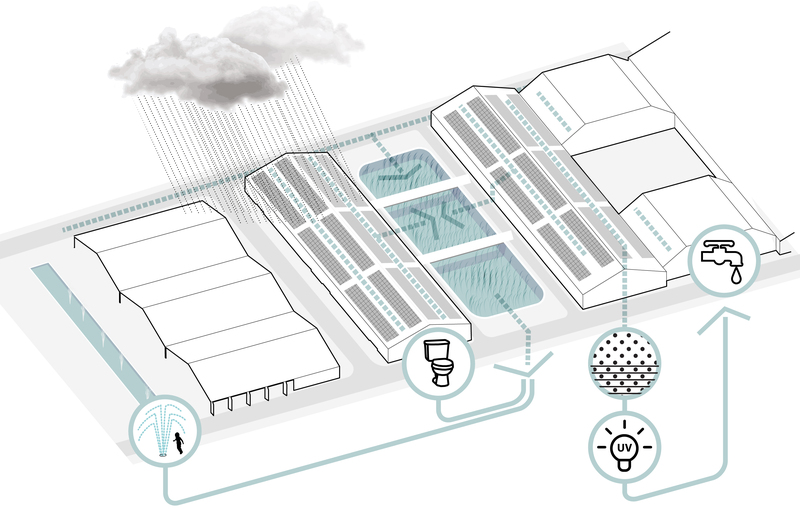 The design of the transformation of the army barracks is sustainable in various ways. Attention is given to adjustability, energy, water and mobility. Many existing buildings will be redeveloped while new buildings will have flexible constructions. 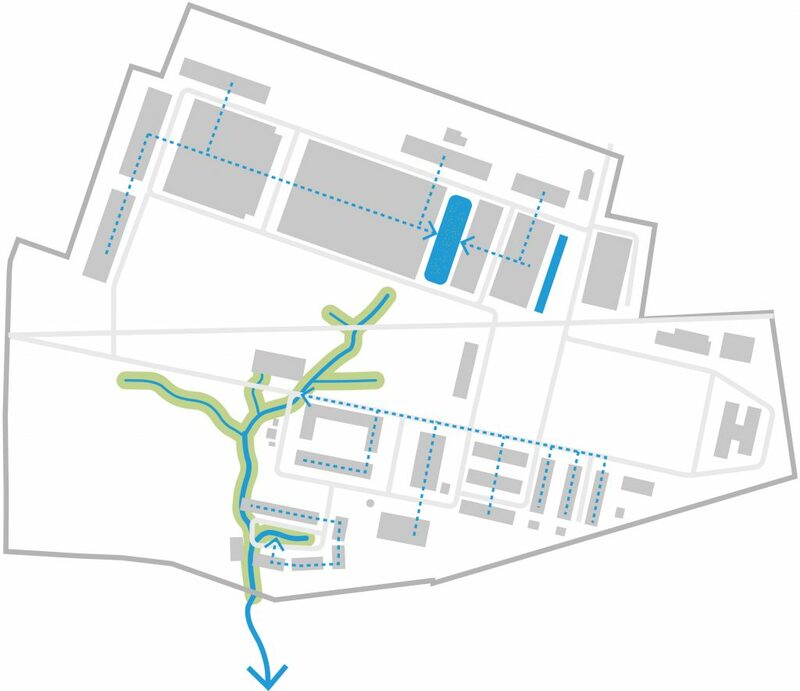 There remains a large amount of space on the site for innovative water management where the natural topography will form the base of the water system. Green roofs buffer rainwater, that subsequently infiltrates in wadi’s and wetlands. Pavement is permeable where possible. Public space is designed to facilitate walking and biking, and to discourage driving a car. The program will develop in a flexible and gradual manner, making it possible to adjust the plans to changing techniques and understandings.